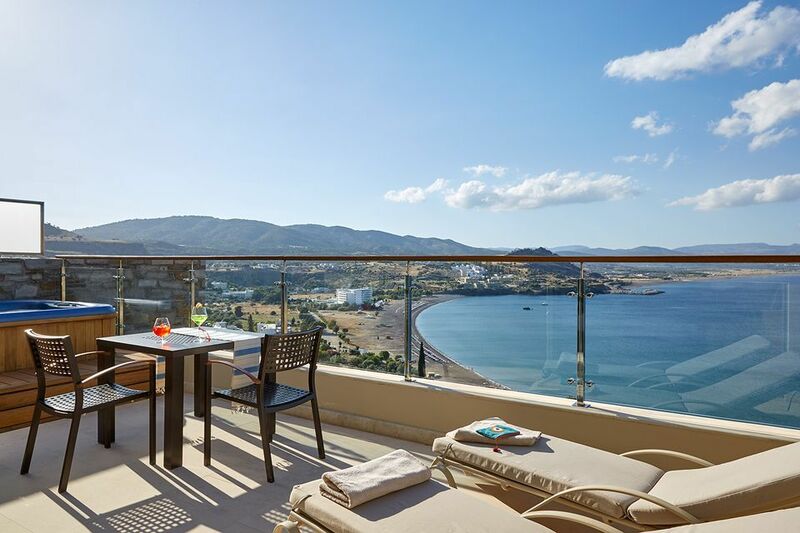 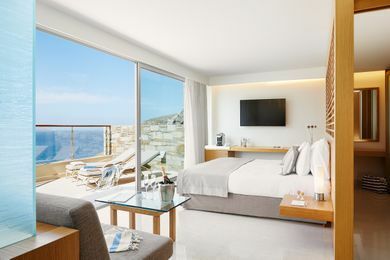 Glamorous deluxe rooms with an extensive sea view balcony including a double Jacuzzi. 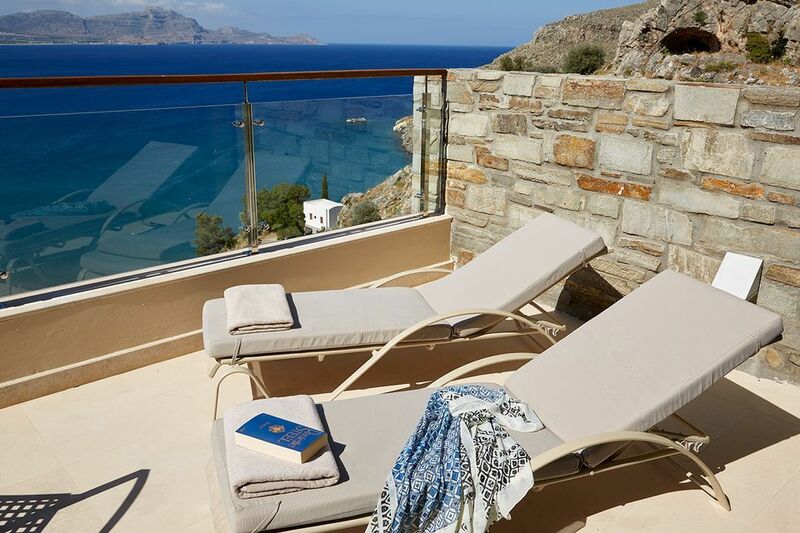 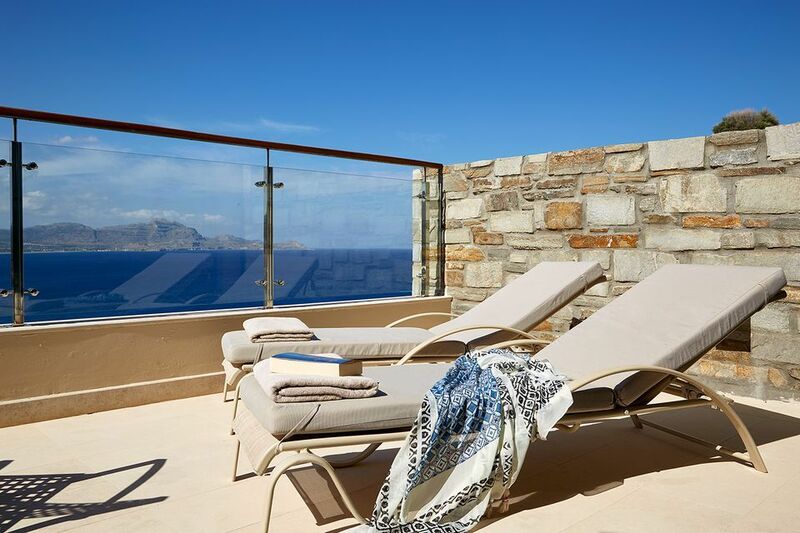 Wake up to exquisite views of Vlicha Bay at the foot of your king-size bed. A spacious walk-in wardrobe and dressing area is cleverly concealed behind the headboard. 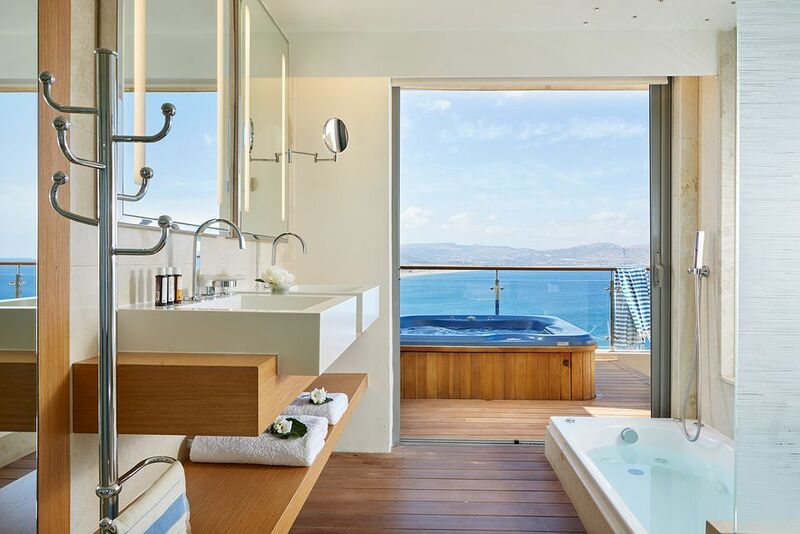 Floor-to-ceiling glass panels can be opened for al fresco bathing in the spacious (15 m²) bathroom with his & hers basins, separate rain shower and sea view hydro-massage tub.